Get a professional gas line installation by Clovis Plumbing Services! Offer applies to the purchase and installation of a gas line project. One of the more labor intensive home improvement projects that anyone can perform is a gas line installation. Many projects can be done yourself (DIY), but it is best to let a professional handle gas lines. It involves extremely flammable, potentially lethal gases and needs the correct materials and procedures. Gas lines must be adjusted for the right levels of BTU. This may possibly result in explosions and the damaging of properties. If a new water heater installation, gas furnace or stove is added then you must install new gas lines. You may also extend gas lines outside for additions like grills, fire pits or other uses. In the event of a leak, repairing a gas pipe is very important and you can ascertain this by the smell of ‘rotten-eggs’. Should this be the case, it is highly advisable to get in touch with a competent professional right away! Buying a new gas appliance is one reason several people install new gas pipes. They may wish to change current electric appliances like water heaters or stoves with appliances powered by gas. There is a tendency for gas stoves to heat food more uniformly and be a little less costly to operate. Gas water heaters have a tendency to be more efficient to some extent. However, if the infrastructure of a home does not have the gas lines to support the setup, it has to be equipped ahead of time. Installing gas pipes might entail some due diligence on the part of a homeowner based on the nature of the job. If it's just an ordinary leakage, fixing it with the replacement of a single pipe section might be possible. Besides moderately minor urgent jobs, have the whole gas line system inspected by a professional. This will ensure that there aren't any weaknesses or potential leakage areas is a very good initiative. Digging trenches requires that all permits are pulled by the county or city authorities. A gas line installer or professional-grade plumber will be capable of providing sketches and plans for an intended project. Once completed, it can be shown to a third party to confirm. 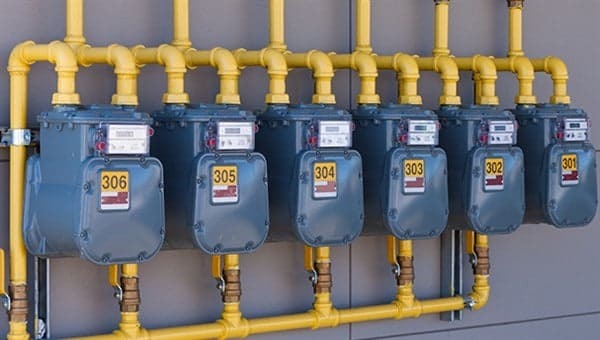 A gas line installation involves two aspects: the price of materials and the price of manpower. The major factor that affects the price of materials is the kind of pipe that will be made use of. This varies depending on whether the gas line will be used for natural or propane gas. Also, the kind of appliance it will be supplying should be considered. One more factor is deciding whether to run a new line or to extend an existing line. It is cheaper to extend an existing line for the reason that it will require the use of fewer pipes. However, there are situations where this may not be as effective or as safe. The ultimate decision to decide on the best line of action lies with the professional. Manpower cost will mostly be affected by the technical challenge entailed in the project as well as the location. Unskilled plumbers (who won’t cost as much for labor) may undertake the repair of minor gas lines. More specialized labor (which costs more) will be required for installing more extensive gas lines. The price of materials for a gas line installation might be a little above the price of water piping. Ultimately, the price depends on considerations like the kind of material to be used as well as size. Also, this may differ based on the pipes location in the house. Manpower cost for repairing or installing gas lines might vary within the standard price of a contractor. Occasionally getting to the most expensive rates per hour. It could possibly cost more if the job is highly specialized which entails hiring several workers or technical expertise. Repairing and installing gas pipes is a risky job that necessitates lots of experience and knowledge. This is frequently echoed in a contractor’s estimation. The location also affects this cost. A gas line installation or repair isn't simply something that any person can do easily. The process is a complex one which requires the help of an expert. Gas lines can be installed at an affordable cost. However, it is imperative to make sure that job is done excellently so as to decrease the likelihood of leakages. Before you decide on a contractor to hire to install your gas pipe, it is advisable to demand references. Contact the BBB to investigate different options to confirm that you are making the right decision.